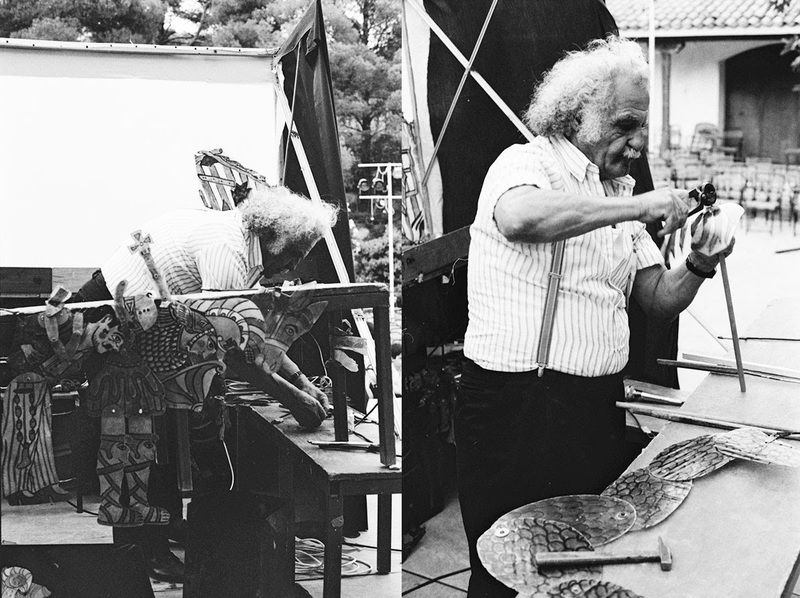 Evgenios Spatharis was an artist of the Greek shadow theatre and one of the most influential puppeteers and also a painter. 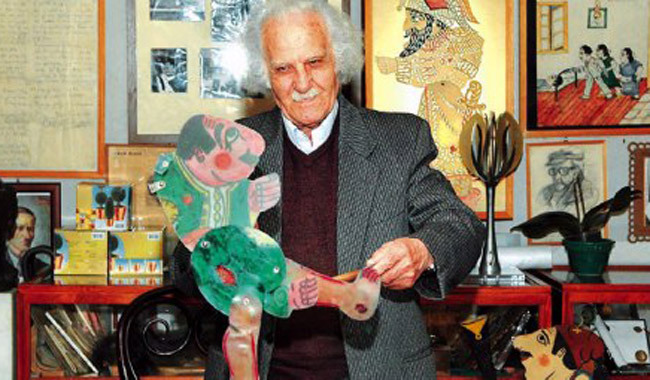 He was born in Kifissia on January 2nd, 1924. 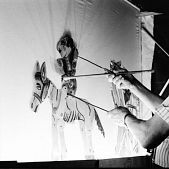 He was on painting and particularly studied the heroes of shadow theatre, as his father Sotiris Spatharis was a pioneer of the art. 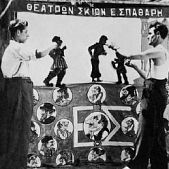 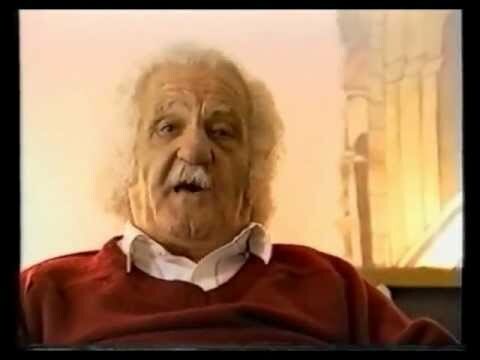 He had been staging his one-man shows in several neighbourhoods of Athens since the days of German Occupation until his later age, travelling to every corner of the Greek country and abroad. 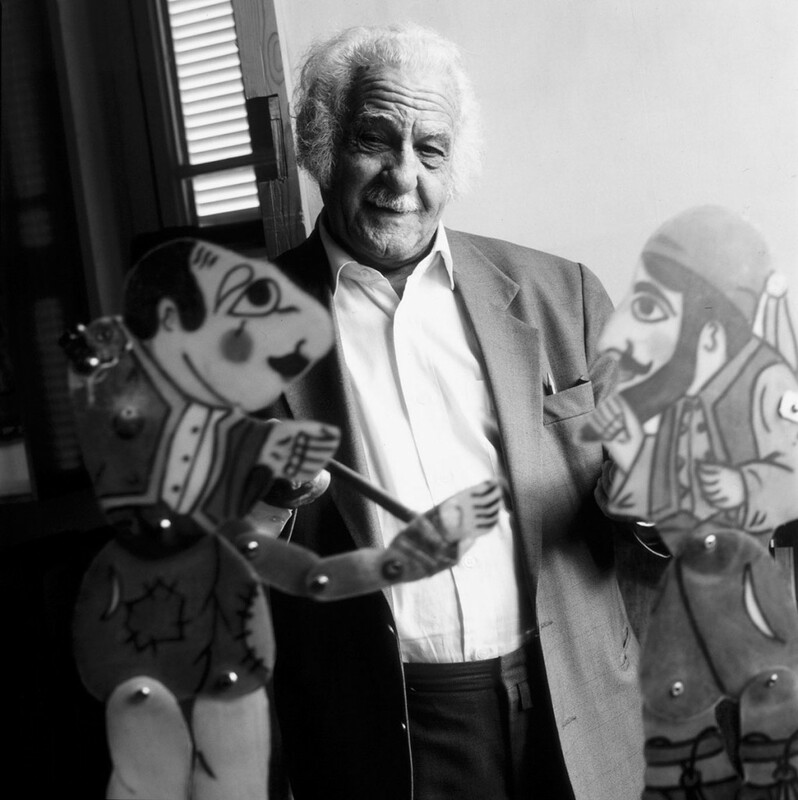 He performed many shows featuring Karagiozis, in inanimate models plays and also in theatre plays with real actors at the National Theatre of Northern Greece, the Hellenic Choreodrama, the Hatzokos Theatre in Thessaloniki, the Syntehnia Theatre and many more with his plays, like The Voyage, The Cursed Snake, The Dictator, Alecos with the Quinces and many more. 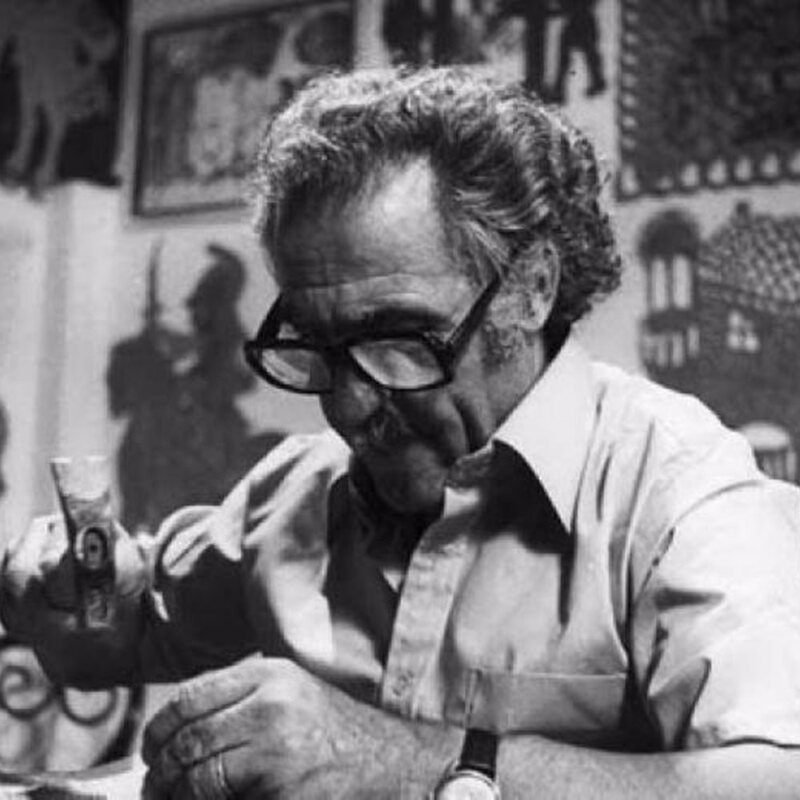 In 1970, he published 13 illustrated coloured cover issues of black and white sketches of his heroes. 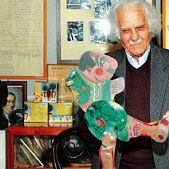 In 1979, Nefeli Publications introduced his famous book Karagiozis of the Spatharis family featuring seven plays and seven synopses. 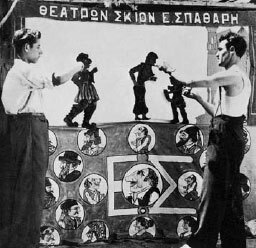 In 1950, Evgenios appeared in the feature film Bitter Bread of Gregory Gregoriou. 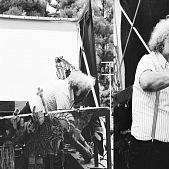 He had later performed for the state television during the period 1966-1992. 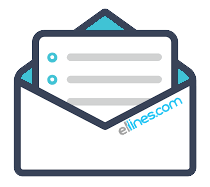 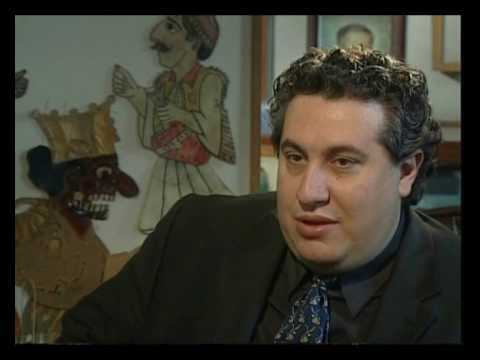 Evgenios Spatharis was a member of the Chamber of Artists in Greece and the UNESCO International Theatre Institute. 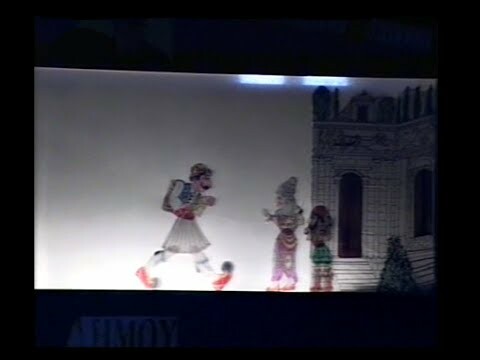 He appeared in several countries, participating in famous art and theatre festivals around the world. 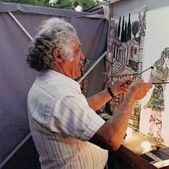 During his life, Spatharis received prestigious awards and distinctions and in 1962 he was honoured with the Rome Prize. 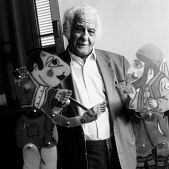 In 2007, he was honoured by the Greek Ministry of Culture with the title of Grand Master in recognition of his contribution in his art. 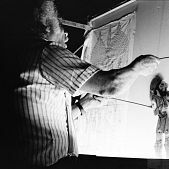 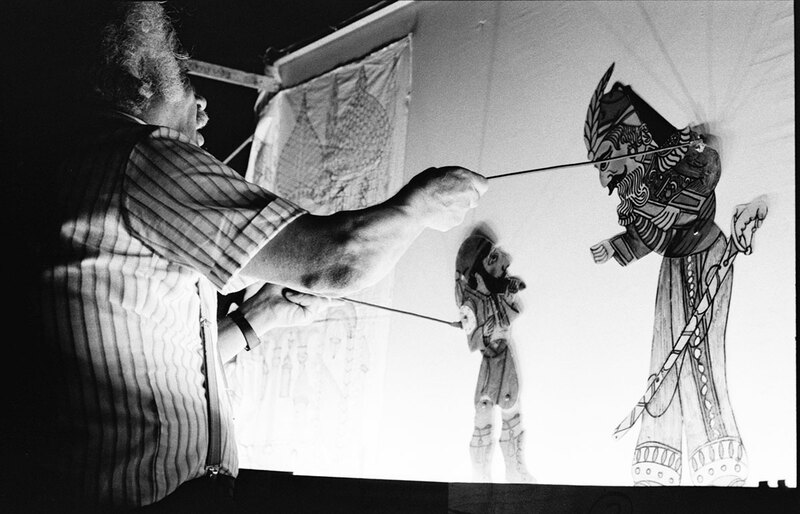 In 1991, he founded the Spatharion Museum of Shadow Theatre in the Municipality of Amarousion. 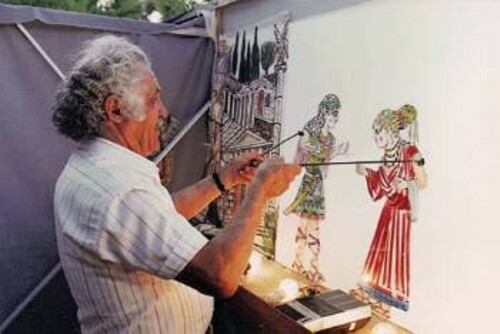 He died on May 9th, 2009, at the age of 85. 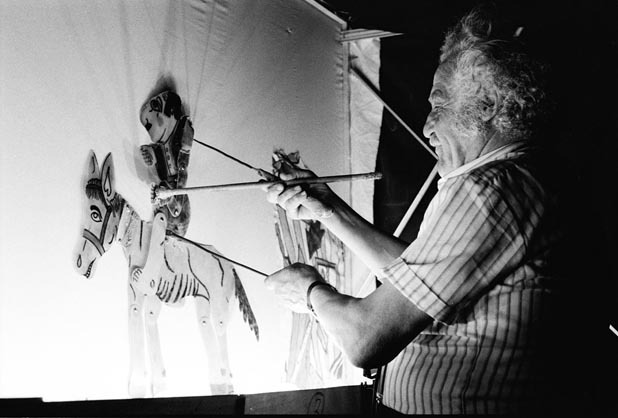 The artist’s remains were made accessible to public pilgrimage at the Spatharion Museum of Shadow Theatre prior to his state funeral on May 13th, 2009, in Amarousion.